Let’s say your modest portfolio in the stock market has had a good run over the past year or so, and you’re looking for a new investment opportunity. Let’s posit, further, that you think Bitcoin is a curious bubble that’s going to burst someday, and that you’d rather put your money into a company that produces something more tangible and more futuristic. SpaceX is racking up a number of impressive accomplishments. Last month SpaceX successfully tested its Falcon Heavy Rocket, and it is moving forward on launching what it calls the most powerful operational rocket in the world. The Falcon Heavy launch is set for next week, on February 6, from the Kennedy Space Center in Florida. The successful launch of the Falcon Heavy would join other stellar (pun intended) SpaceX accomplishments, like being the first company to launch a rocket with payload into space and then land the rocket back on Earth, and being the first company to relaunch an already used rocket. SpaceX also built the first private spacecraft to dock with the international space station, and it’s shown it can reuse the spacecraft, too. If you’re trying to make space a commercially viable enterprise, developing reusable rocket technology and reusable spacecraft technology, to hold down the cost, is a crucial first step — and SpaceX looks like the leader in taking that step. But here’s the thing: you can’t invest directly in SpaceX. It’s a private company, and its founder Elon Musk has said he won’t take it public until the company has started to make flights to Mars. Why? Because Musk is afraid that if the company goes public before then, there’s a chance that the stockholders will pressure the board to focus on things other than colonizing Mars — which is Musk’s goal and is bound to be more expensive and difficult than, say, establishing Moon exploration bases or mining asteroids for precious metals. It’s not an unreasonable fear on Musk’s part. So if you want to own a piece of SpaceX, you can only do so indirectly, by investing in Alphabet, which owns a piece of SpaceX as well as parts of Google, YouTube, and other things. Okay, so SpaceX isn’t currently available for the intrepid investor who wants to get into the space exploration game. Are there other options? It’s not easy to determine, because a lot of the companies that are touching upon space issues — like Boeing, for example — are better known for producing other objects. But you can start to get a sense of what’s out there by looking for lists like this one, on potential investment opportunities involving space, or looking for articles about company announcements related to space activities and then figuring out whether they are publicly traded. It’s not easy for the casual investor. What we really need is for one of the stock exchanges to create a “space index,” just like there’s a Dow Jones “transportation index.” The index would identify the space-related public companies, mutual funds would be established to invest in each of the space index companies, and those of us who’d like to put our money in the heavens could buy into the mutual funds. Hey stockbrokers! How about giving investors interested in space some help here? 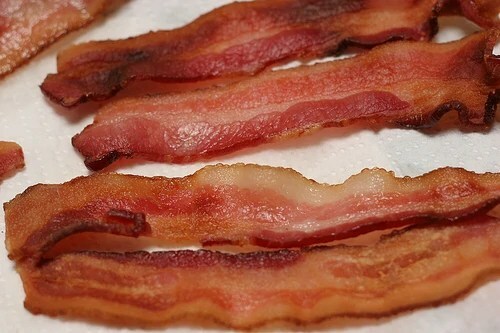 At dinner tonight, a friend mentioned that a world-wide bacon shortage is in the offing. An unfortunate and tasteless jest, I thought — but it turns out to be true. That’s right: the British National Pig Association is forecasting a world-wide shortage of pork and bacon next year. They attribute the lack of porcine product and the declining numbers of swine to the increased cost of maize and soya and the other foodstuffs that allow cute little piglets to grow up to be huge, beautiful, bacon-larded hogs. Horrors! We’ve put up with a lot in this country: high unemployment, a crappy economy, even Emmy Awards being presented to shows that no one has ever heard of. But . . . a bacon shortage??? Isn’t that asking a lot of mainstream America? How are we going to have state and country fairs without bacon to contribute to deep-fried bacon, chocolate-covered bacon, and bacon ice cream? What are we supposed to eat for breakfast? What other foodstuff tastes as succulent wrapped around a scallop, served with scrambled eggs, or covered with brown sugar? Forget about investing in gold, silver, or other precious metals — it’s time for the savvy investor to go long, long, long in pork bellies. America runs on bacon! The normally separate worlds of modern technology and Renaissance art intersected recently, and the result was confirmation that a heretofore obscure painting was the work of Leonardo da Vinci. Multispectral images of a painting thought to be that of a 19th century German painter has allowed art historians to determine that a fingerprint on the painting matched that of the great Leonardo, who apparently frequently used his hands in creating his masterpieces. What does it mean for the owner of the piece? Well, he bought the painting two years ago for $19,000, and now it is estimated to be worth more than $100 million. For the mathematically challenged, that means the value of the investment increased 5,000 times in just two years. Russell, be sure to leave a few telltale fingerprints on your artwork! Gold has hit a new all-time high price, above $1,035 per ounce. The run-up in gold prices has been striking — five years ago, the trading price of gold was slight above $400 an ounce, and since last November gold has increased from less than $750 an ounce to its current record level. Why has the price of gold increased so dramatically? Historically, gold has been viewed as the safest investment in times of uncertainty and potential inflation. 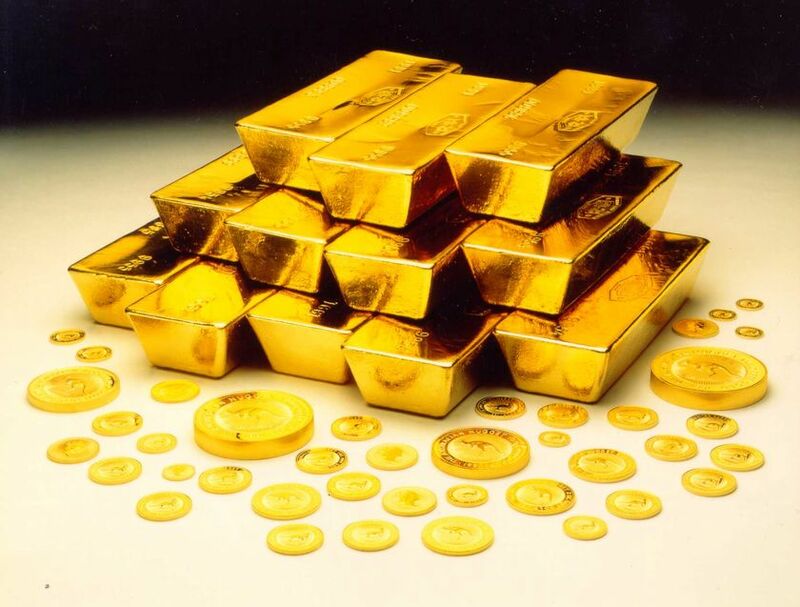 If you thought your government was going to collapse, or our currency was going to be undercut by dramatic inflation, you didn’t want worthless paper or coins, you wanted gold because it would retain its value under any circumstances or regime. (Ask any citizen of the Confederate States of America or the Weimar Republic if you don’t believe me.) I think the increasing price of gold signals that many investors, worldwide, are not convinced that the current economic woes are behind us and they therefore are hedging their bets retreating to an investment that dates from the earliest days of capitalism and commerce — even though the unprecedented price of gold makes buying at this point a significant risk. Surveys of consumer confidence are fine, but whether people are willing to pay more than $1000 for an ounce of gold says a lot more to me about confidence in the economy than any survey ever could.